Viknesh Vijayenthiran April 9, 2018 Comment Now! The sixth-generation Camaro was a huge improvement over its predecessor, but with the Ford Mustang having just received a round of updates, along with the promise of a new Shelby GT500, this is no time for team Camaro to get complacent. It's no surprise then that Chevrolet has introduced its own updates for the Camaro for the 2019 model year. The list includes minor visual tweaks aimed at improving the car's aerodynamics and cooling, along with the addition of new performance and safety technologies. 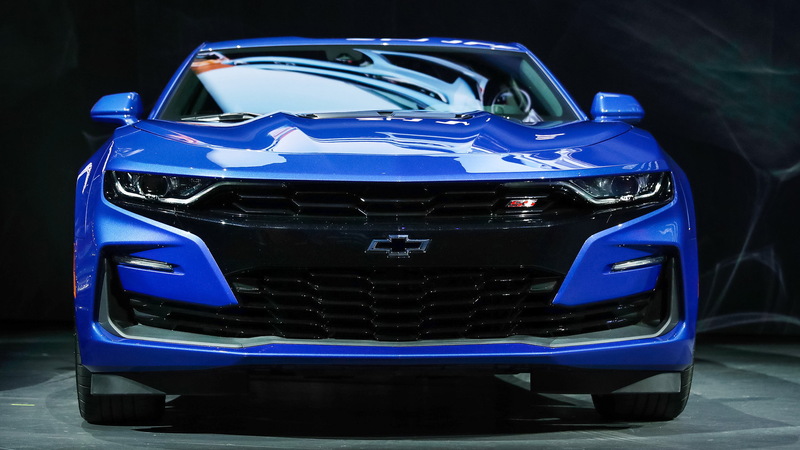 The biggest visual cue for the 2019 Camaro is the more streamlined face, whose grille and various vents provide better cooling and a combination of less drag and increased downforce. The designers have also introduced LEDs to the headlights and new elements to further differentiate the models. For example, the Camaro SS is now hard to miss with the blacked-out center section of its front fascia. There aren't too many mechanical mods, though the Camaro was never short of performance. Chevy has made the 10-speed automatic currently exclusive to the Camaro ZL1 track special available on the SS. Other Camaros stick with an 8-speed automatic and a 6-speed manual is standard across the range. The SS also gets launch control and line lock. The latter lets you apply the front brakes while leaving the rear free. It's designed for drag racers looking to warm up the rear wheels for extra grip before running down the strip. 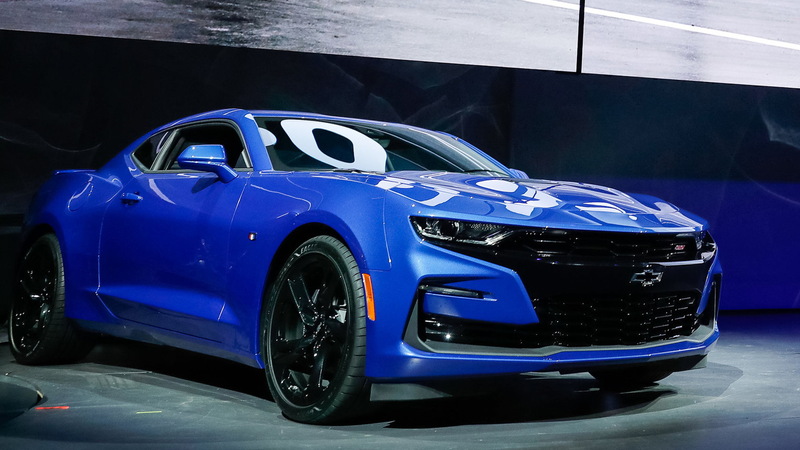 Also new on the 2019 Camaro is the availability of the 1LE package with the base 2.0-liter turbocharged inline-4 engine. It means the track-focused package is now available across the Camaro powertrain lineup. Included in the package are sport-tuned suspension, Brembo brakes, summer tires wrapped around 20-inch wheels, a suede-lined flat-bottom steering wheel, available Recaro bucket seats, and the addition of new Track and Competition modes for the driving modes selector. Chevy hasn't mentioned any changes in the power department, so we have to assume the standard Camaro's 2.0-liter turbo has 275 horsepower and 295 pound-feet of torque. 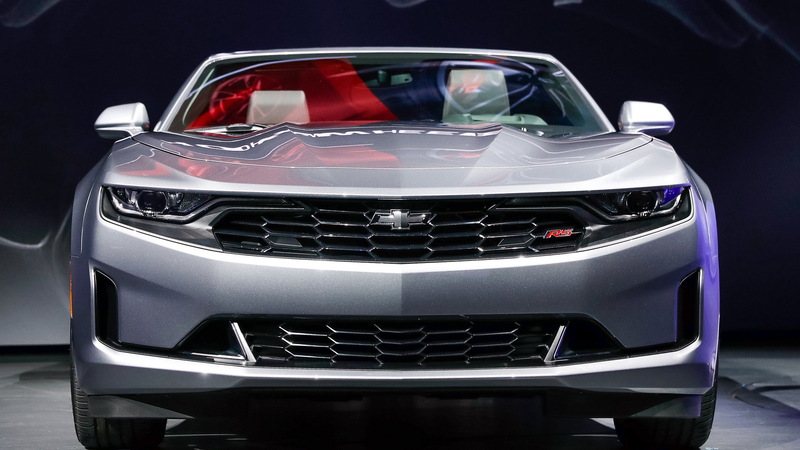 The Camaro V6 should still have 355 hp and 284 lb-ft from its 3.6-liter V-6, and the SS should still have 455 hp and 455 lb-ft from its 6.2-liter V-8. Chevy also hasn't mentioned any updates for the ZL1, but the track special is expected to return with a supercharged V-8 with 650 hp and 650 lb-ft. 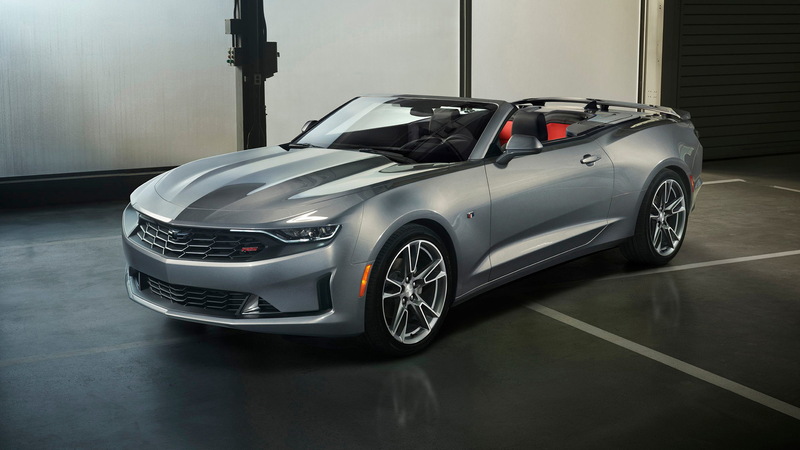 The 2019 Camaro also benefits from a more intuitive infotainment system, which is said to function more like the latest smartphones and tablets. A 7.0-inch touchscreen is standard and an 8.0-inch is available. Also available are cloud connectivity and navigation. 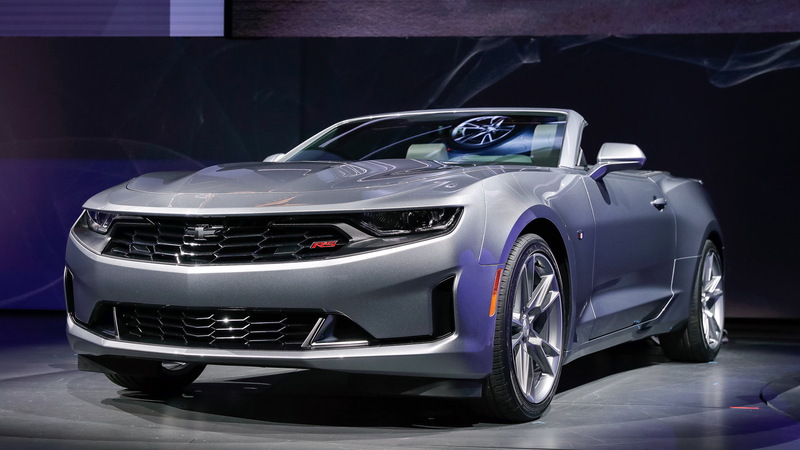 Finally, it's worth mentioning that Chevy has improved the quality of the rearview camera, added forward collision warning to the list of available electronic driver aids, and made a video-streaming rearview mirror standard on the SS and ZL1. Pricing information for the 2019 Camaro will be announced closer to the market launch later this year, though we're not expecting any significant deviation from the $26,900 starting price of the 2018 model. For more on the Chevrolet Camaro, read the in-depth reviews at The Car Connection.